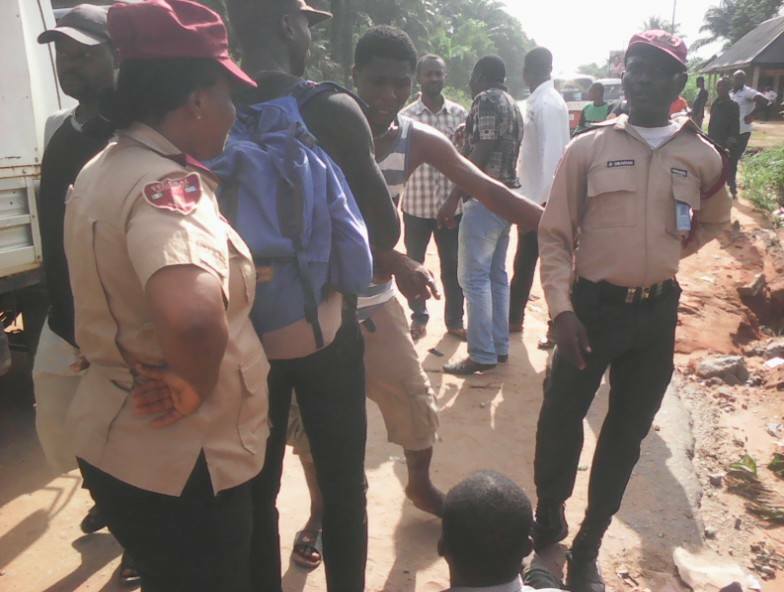 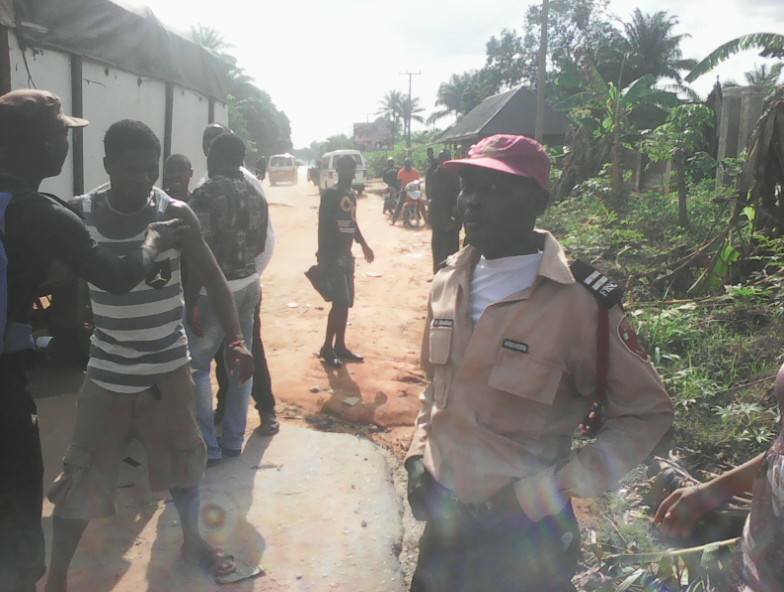 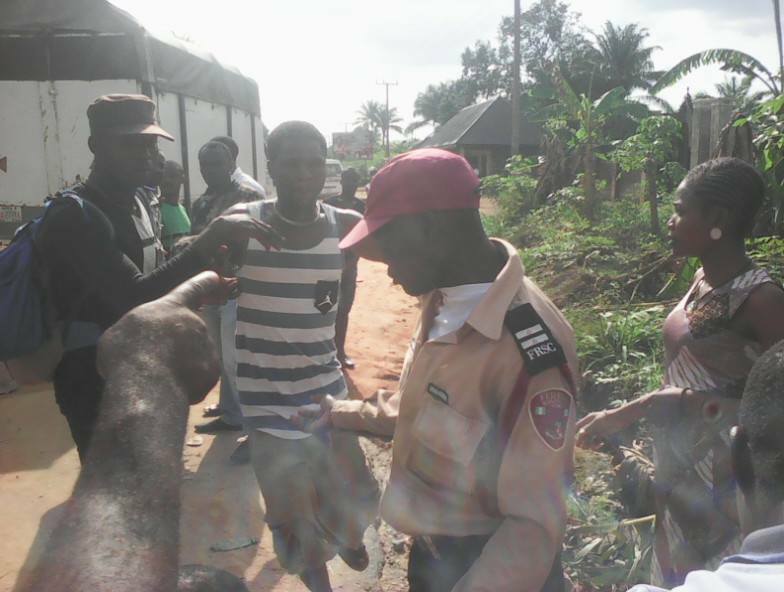 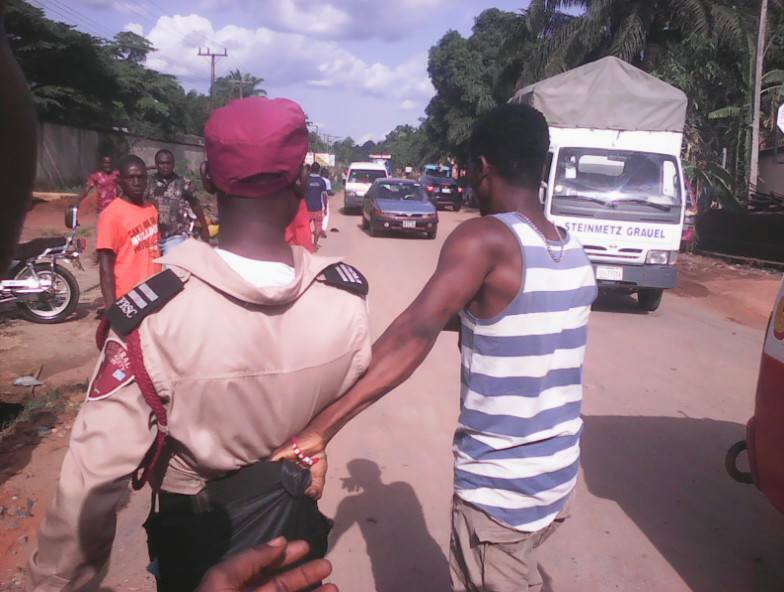 Photos and a video footage of Federal Road Safety Corps (FRSC) officials been manhandled by a group of boys for allegedly demanding bribe has emerged online. 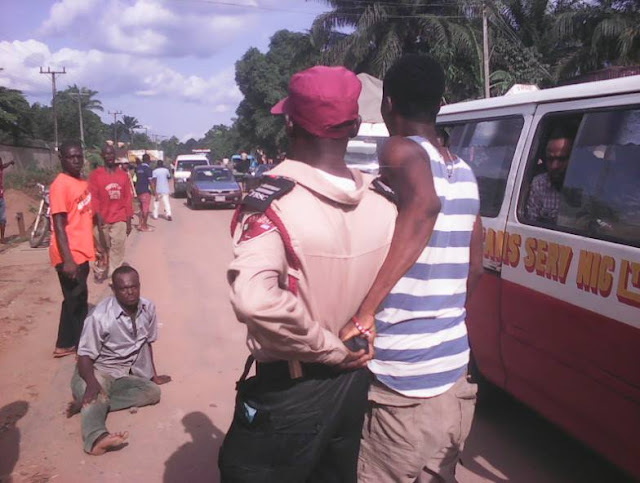 Photos of the incident which reportedly occurred in Nnewi, Anambra State on Friday, 14th April 2016, showed a road safety official being held by his belt, by some angry youths. 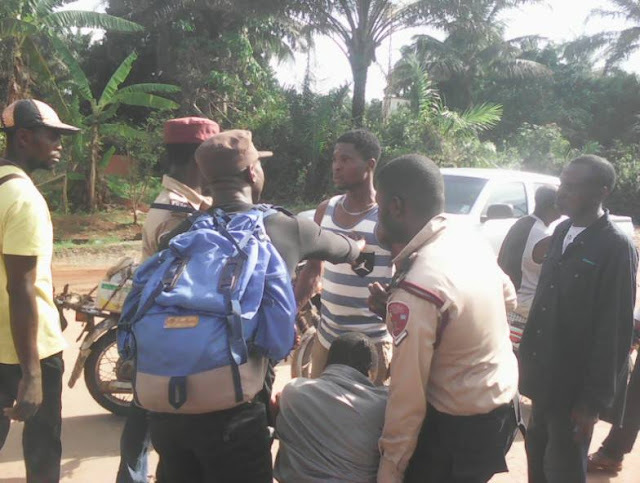 According to Modesty Vitus M Ezenwa who posted the story on Facebook, the officers “asked for bribe” but "the stubborn cyclist refused to offer,” he wrote. 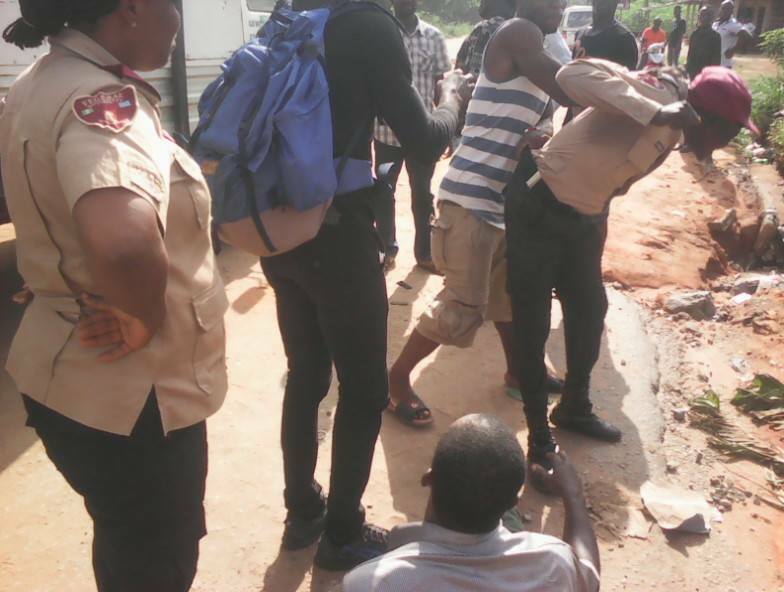 He added that some officials ran away, after it became serious, leaving two of their colleagues behind at the mercy of the mob.